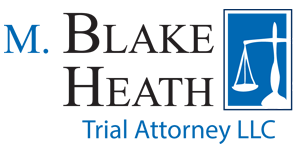 M. Blake Heath along with his friend and co-counsel Matt Bartle recently settled a case for $3,500,000. The parties, venue, and facts of the case are to remain confidential. Generally, the case involved the wrongful death of a young man in an automobile accident and injuries to a passenger.